Early December 2016 – Welcome Again To HDR News And Happy Holidays! The 2016 Pinnacle HDR Contest ended with its usual rush of fine entries which made it difficult to identify the exceptional photos. This year’s winning image by Stanley Klasz is a finely processed waterside scene that is hauntingly calm and nuanced.Congratulations to Stanley and the great Honorable Mention winners! The USA Landscape Photographer Of The Year competition was created by photographer Charlie Waite who started the UK version of competition in 2006. 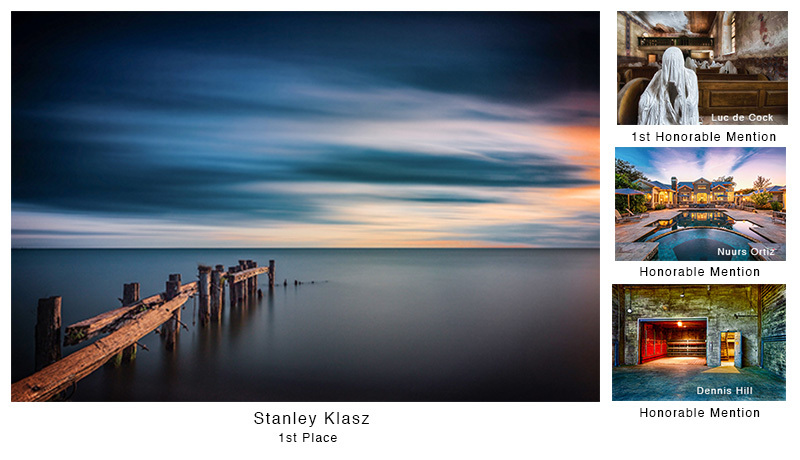 Judging was done by some of the heftiest names in landscape photography; Art Wolfe, Marc Muench and Tim Fitzharris. The 2016 winner is Alex Noriega for his sunrise lit image of Mount Rainier as it rises above low clouds. A visit to the competition website will truly inspire your photography. Make sure you click into the site to view the winners video. It’s that time of year when the photo magazines run their “winter shooting tips” articles. They tend to focus on how the colder, wetter weather affects your equipment but provide little in the way of content ideas. It was surprising to find this useful articleHow To Capture Winter Photos Like A Pro” in the British daily newspaper, The Telegraph. It’s a quick read and it should get your creative motor going. After each shoot he presented the group with the photos. 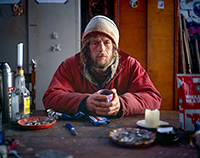 Using a 4×5 camera and sheet film required the cooperation of the subjects. The results smash our windmill and wooden shoe preconceptions of the country. “You don’t have to be an artist to appreciate the sage advice offered by icons like Jackson Pollock or Frida Kahlo. Nor do they all apply just to making art” The editors of thenew book titled “Art Is The Highest Form Of Hope” went deep into iconic artist’s letters, diaries, interviews and more to create a collection of well-researched quotes that are insightful. This article gives you fifteen of them. Here’s a representative quote from artist Salvador Dali; ““Mistakes are almost always of a sacred nature.”Check out the article, it may give you a boost!